Many recruiters see their office overloaded with resumes every day. But how can you stand out from the crowd? Here's an idea for you: an online portfolio or resume! Why? Because it is an effective way to get noticed on the web by potential recruiters, to whom you might not have sent your resume in the first place. To be effective, your online presence must be impeccable. So here are some tips to follow for success on the web, and get that job you've always dreamed of! 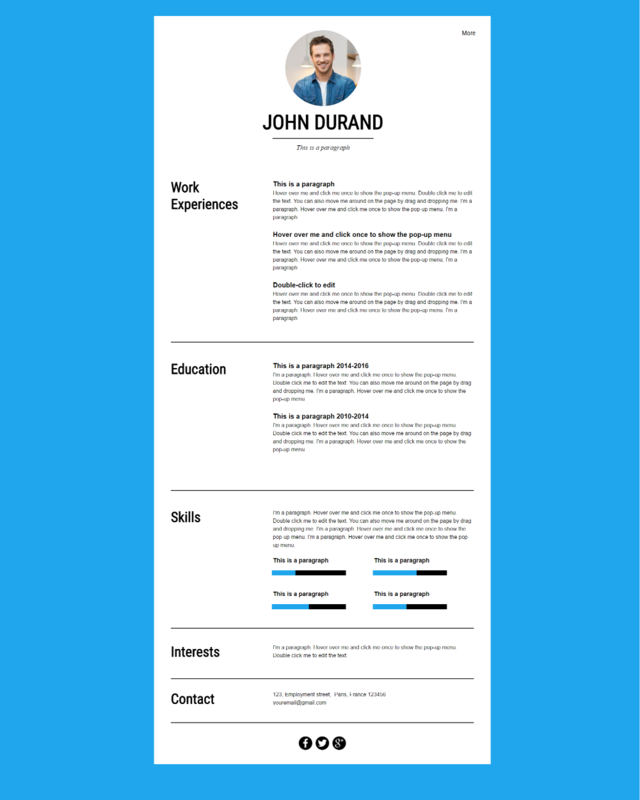 Your online resume or portfolio needs to be effective. To do this, you can organize it chronologically, whether it’s to present your projects or your work experiences. It will be easier for your visitors (and potential employers!) to look at your professional or creative journey. Don’t hide your talent on a web page that will never be consulted! Are you a photographer? Use your own images on your homepage in addition to having a dedicated page to showcase your most beautiful shots. Looking for a job in the communication field? 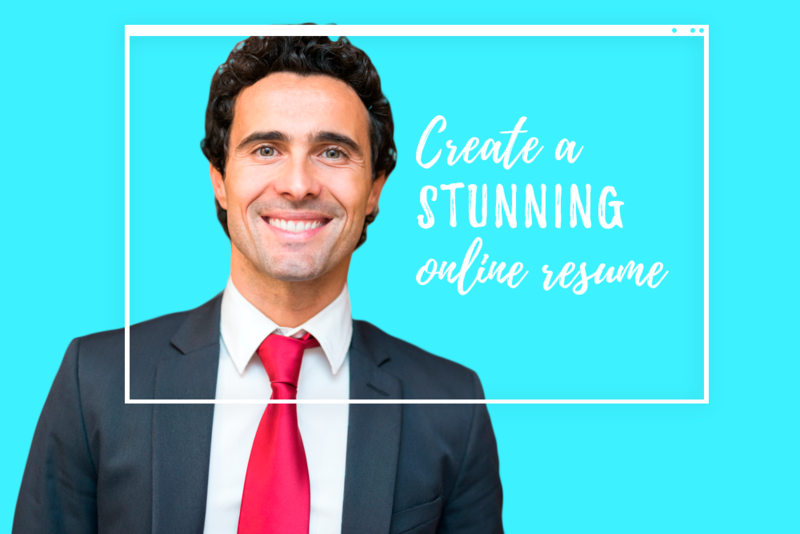 Use your communicator skills to impress online recruiters with a resume that stands out! Tip: On your homepage, you can add a zone with your biggest achievements or experiences and a 'call to action' button that will redirect your visitors to a more detailed page. Nowadays, originality is essential if you want to stand out! What is good about having an online resume is that the only limit is your imagination! Use interesting and creative visuals: why not even include a video that introduces you! Future employers will get a glimpse of your personality before they even call you in for an interview! Even if you spend hours making your website visually appealing, if you are looking for a job, your primary purpose is to make the phone ring! Don’t forget to include your contact information ,ideally somewhere that is easy to find! Share your website on job search forums, recruiter websites, your social media, etc., to ensure visibility! 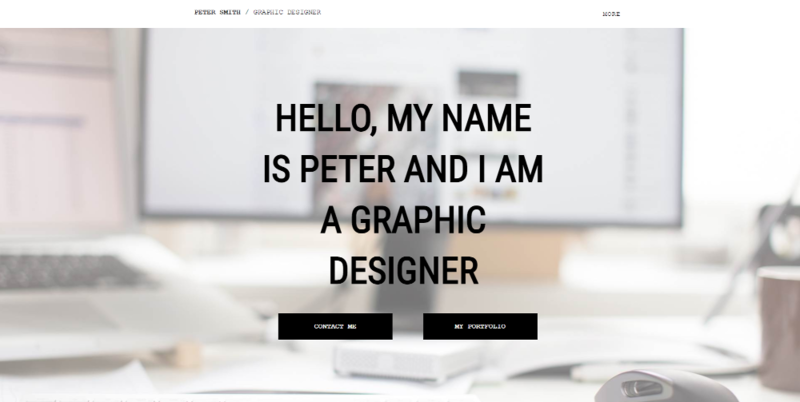 Ready to create your personal website online, for free? Start now!